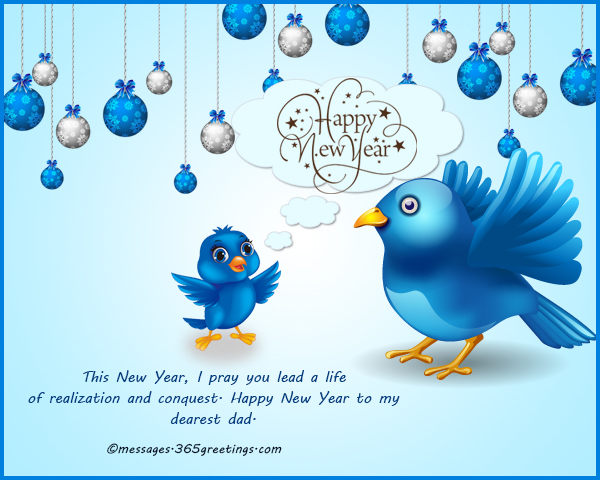 If you are searching for good New Year wishes for parents, you have visited the right place in the web. Here, we have compiled a few samples of New Year greetings that you can use to wish your parents a Happy New Year. This time of the year is such an important occasion and letting your loved ones, especially your parents, know about your feelings and regards for them is the best gesture to make the event even more special. So, feel free to use these heartfelt New Year messages and send to your dad or mom. You can either send them via email or sms, or write in a New Year’s card. Fathers are one of the most important people in our lives. They are one of those very few people, who truly care for us and try their level best to protect us, in whatever way they can. For many people, fathers are their role models. It is often said that a father is his daughter’s first love and his son’s first hero. 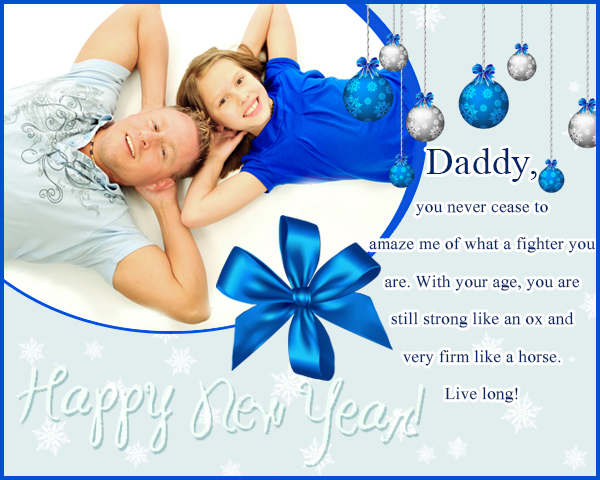 On special occasions like Christmas and New Years, make your father feel special by writing him a card, an e-mail or even sending him a text message. I am such a stubborn and naughty kid. I promise to stay like that, only a bit better. I may be bad sometimes but it is just my way of getting your attention and feeling loved. Happy New Year!For being the best parents, cheers! You are my wings that lift me up when I feel down. You believe in me so much that I do not want to fail you. Thank you for supporting me all the way. I may not learn to stand if you hadn’t guided me on my first step. I would not be able to say kind words, if you didn’t teach me to utter my first words. Most of all, I wouldn’t be the person that I am now if not because of the guidance you always give me. Very soon you will get old. I assure you that I will give back all the love and care you showered me. Happy New Year! but we are blessed with a happy family that supports each other. This New Year, I hope that God will continue to bless us with His love. My heart is filled with nothing but thanks for bringing me up so well. I will not enjoy everything that I have now if not because of your hard works. I hope to be better so I can be more worthy to be called as your son/daughter. New Year will not be complete if it I will celebrate it without you. You never fail to make this day special with all the simple gestures that you shower us. That is why New Year is always a celebration for all of us. Mothers are special in so many ways. Undoubtedly, they are one of the most important people in our lives. They do so much for us. And to make her feel special this New Year’s, why not acknowledge her efforts and tell her how much we love her? A mother and daughter bond is forever. It knows no age, no time. This New Years, let your mother know how much she means to you! This New Year’s Day, let your Mom know how much you love her. Don’t know how to express in words? 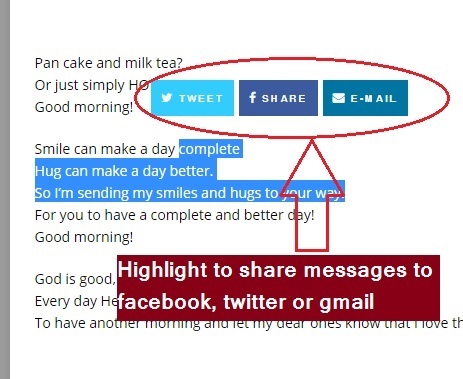 Then use this list of New Year messages for mom. 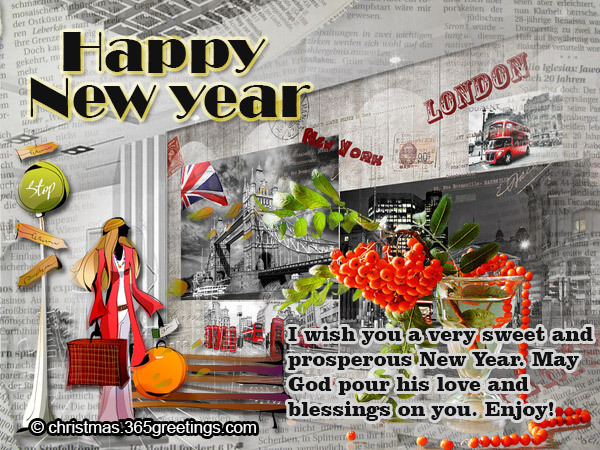 You may also find various New Year greetings and New Year wishes for her. 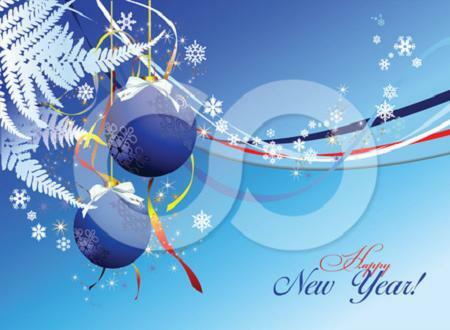 These New Year wordings may also be used as New Year card messages, New Year text messages, New Year SMS, New Year quotes and New Year sayings. From the best daughter in the world. Ok where is my New year Gift?? May you stay as cool as you are this New Year onwards. This New Year, I want to let you know how thankful I am for having you as my Mom. Cheers to the best Mom in the world! I am so blessed to have such supportive and loving Mom as you. I promise to be worthy of your love. That is my New Year’s resolution which I hope to follow. New Year is another year for me to enjoy your company and cherish the memories that our family will create. I am so happy to live knowing that you are here by my side. Happy New Year to us! We are given another year to look back I our lives. I want you to know how much I deeply appreciate your efforts. I now understand why you sometimes scold me. I know you have been through a lot and you want nothing but the best for me. Thank you, Mom, for your unselfish love. I thank God for giving me a wonderful mother. I may not always show. But I do care for and love you, Mom. We are what we are today because of you. Thank you for the care, guidance and love. This New Year, I want to let you know how much you mean to me. New Year’s celebrations are so much more fun when you include family! Wishing you a year that is filled with all the fragrance of roses, illuminated with all the lights of the world and be blessed with all the smiles on the planet. Hope this year will be the year when all your dreams come true. Happy New Year 2017. Along with the beautiful cards and messages that you will be sending to your family, why not make it extra special by giving them a gift as well? You do not really need an occasion to give somebody a gift. However, if you do need an occasion, then New Year’s Eve is just the time to give your dear and near ones great gifts. Spread the love this New Year’s by giving gifts to your family. Looking for ideas gift ideas? Think about the things your family members like. 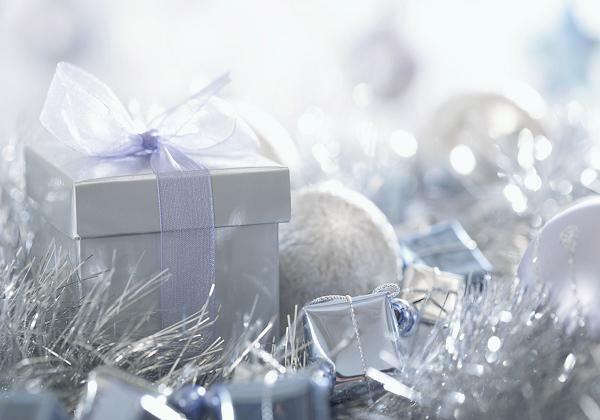 You could either send individual gifts for the family members, like, a handbag for your sister, a perfume for your mother, a signed baseball for your brother and a pair of cufflinks for your father. Almost everyone is aware of the likes and dislikes of their parents. You could use that as your guideline. Almost all women like jewelry, you can find some great rings, bracelets, statement necklaces, earrings etc from various shops. 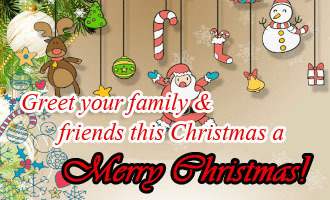 Many shops also offer great discounts for the festive season of Christmas as well as New Years. 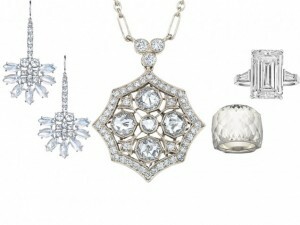 Jewelry is a popular gift item, especially if you are looking for something for your mother, wife or sister. If you are lucky enough, you can find great jewelry pieces at great rates. Fathers are not that hard to give gifts to, either. You could use their profession as a guide! For example, if your father is a business man, it is very likely that he wears a lot of suits, ties and cufflinks. And even watches make excellent gifts. Other than professions, you could even take their general interests as a guide in helping you select a gift for them. Does your father like sports? 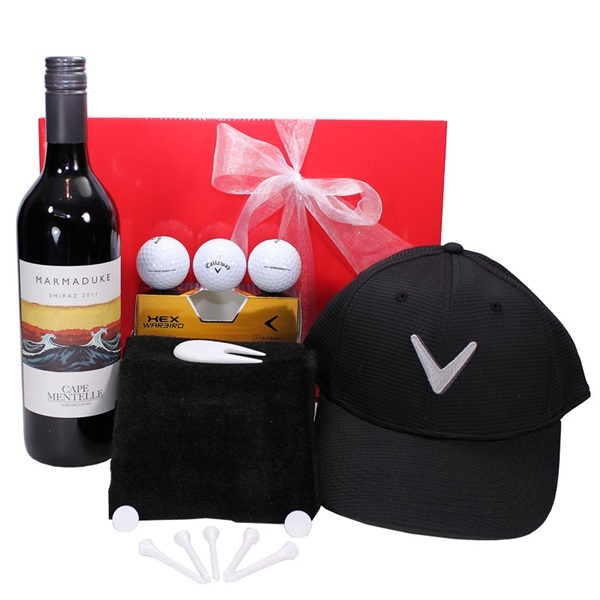 If he likes golfing, you could give him a signed golf ball, which has been autographed by his favorite golfer. Contrary to the popular opinion, there are a lot of gift options for men, too! Depending on how old or young your siblings are, you could gift them likewise. Sisters, for example, if they are still in their teenage years, you could gift them a table lamp, a poster of their favorite boy band, or even a funky school bag! For a bit older sisters, you could give them make up items. Most young women wear lipsticks, eyeliners, mascaras etc You could buy a bunch of make up items together and give those to her. Whether your brother is young or old, one thing is for sure that they are most likely to play video games. Other than video games, why not take some gift inspiration from sports? You could gift them a football jersey of their favorite footballer. Happy New Year to Dad: In our daily TV shows and programs, our cultures or even social views; fathers have been viewed as less important people. In fact they are taken as laughable relief in the shows. Due to their great absence in the growth of children, it’s easy to forget to appreciate them as Fathers. To you as his /her brood must always remember that he holds a very important part in your life. 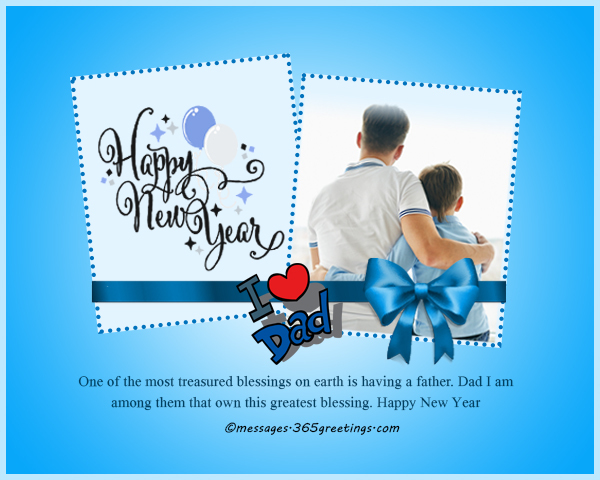 It’s good to appreciate your father, especially this festive season of New Year. We have taken good time to prepare worthwhile collection of best wishes to you father. 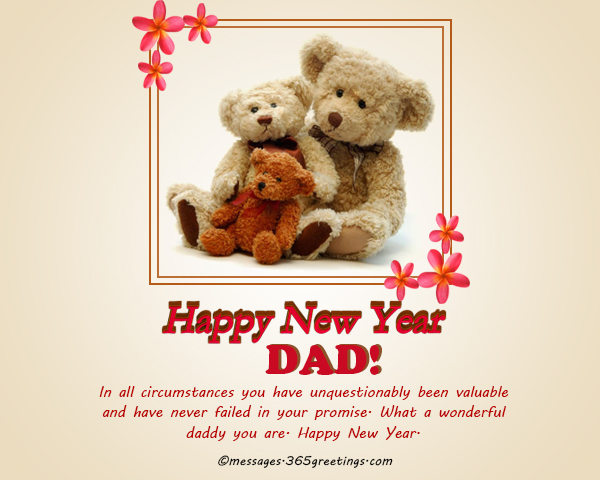 It’s good to appreciate your father, especially this festive season of New Year. We have taken good time to prepare worthwhile collection of best wishes to you father. In all circumstances you have unquestionably been valuable and have never failed in your promise. What a wonderful daddy you are. Happy New Year. Don’t look on the failures of the past year; rather look on the opportunity to create victory this New year. Dad Have a gracious 2017. 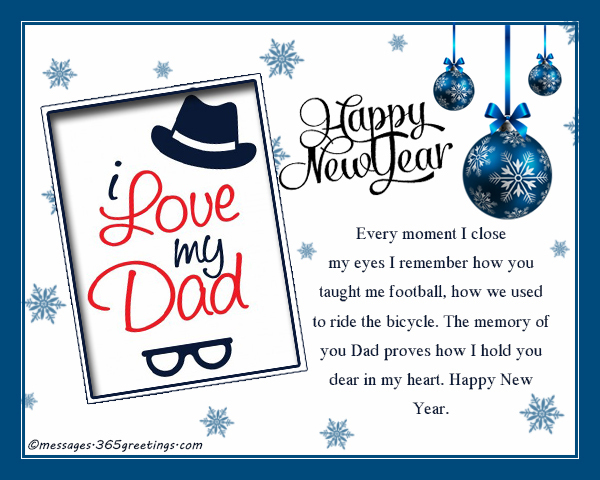 Dad, I hope that all I could not be able to express to you these past years, I’ll be able to show you this New Year. Happy New Year Dad! Daddy you are such an amazing miracle from God. I feel so blessed to have an amazing father. Happy New Year. I take this opportunity to wish you a happy, wonderful and prosperous New Year, Dad. It’s my prayer that this year you’ll lead a healthy life full of God’s grace and love. Happy New Year, dad! Daddy, you never cease to amaze me of what a fighter you are. With your age, you are still strong like an ox and very firm like a horse. Live long! Could I have ever stood if you didn’t teach me? Could I have ever been this wise if you didn’t council me? No, dad you are the source of my success. Happy New Year. Everyday dad, you are moving close to your old age, and I want to let you know I’ll always be there for you as you long us God preserves us this New Year. Daddy, you made me a man by your wise guidance. This New Year, I want you know I love you and I appreciate everything you do for me. Happy Holidays, dad! This New year, I spread my affection of love to this awesome man. In whom I owe my life, success and strength. My dear papa. This New Year, I pray you lead a life of realization and conquest. Happy New Year to my dearest dad. This new year I promise to never give you sad times. I will do my best to be your delight this year. Happy New Year! You being my father is a great blessing from God, and therefore glory to God almighty. Happy New Year. Every moment I close my eyes I remember how you taught me football, how we used to ride the bicycle. The memory of you Dad proves how I hold you dear in my heart. Happy New Year. Daddy another year has passed by and now it’s a new one. 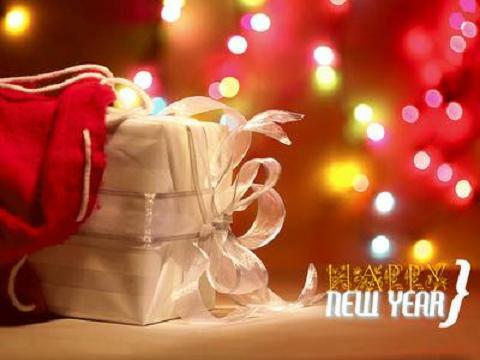 With great joy to have you a live I wish you a happy new year. This past year we’ve had a tug of war on many things, but thanks to this New Year. We have another chance to get it right. Have an awesome New Year! Every day dad, you are moving close to your old age, and I want to let you know I’ll always be there for you as you long us God preserves us this New Year. Daddy you made me a man by your wise council. This New Year I want you know I love you. This New year I spread my affection of love to this awesome man. In whom I owe my life, success and strength. My dear papa. Dad this new year, 2017 I pray you lead a life of realization and conquest. Happy New Year. Dad this new year I promise to never give you sad times, you will feel delighted of me. Happy New Year!